".....tears of joy sprang to my eyes..
..at this first sight of friends...."
The Camp burst into activity. Official word of the Japanese surrender was yet to come but preparations for liberation were put into immediate effect. The summer suits of the men were inspected and any that appeared to be soiled and ill fitting were replaced with new ones, much to Joe’s amusement. He supposed it was to make the men “presentable” for the approaching Americans. The offenders in the guard room were released and newspapers, until now off limits to POWs, were seized upon and translated by those who understood Japanese. There was much jubilation at the confirmation of Japan’s acceptance of terms of surrender. Joe was unable to sleep at nights; his mind was racing with plans and thoughts of the future. The noise level was tremendous as townsfolk and guards invaded the Camp in search of bargains, even the simplest question seemed to have to be shouted by the excited men and talk would go on long after Lights Out. Joe found it difficult to think clearly in this ferment of action. 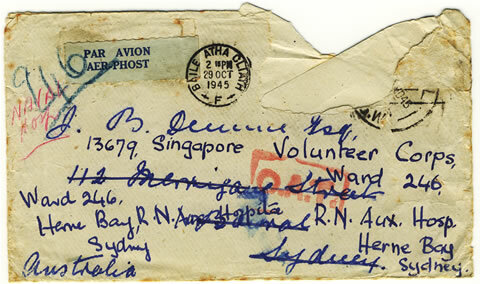 Piles of mail that had been held back were handed out – Joe received a letter dated February 1945 from his sister Eileen. 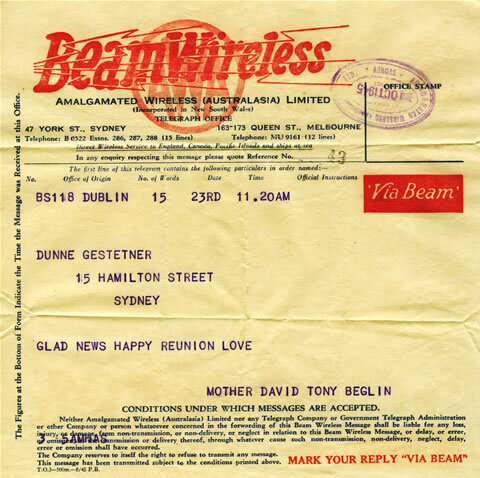 It was the first communication he had had from Dublin since October 1941. His heart twisted with worry as he read of his mother’s illness and he prayed that she was recovered by now. The August sun beat down and the immediate flurry of excitement settled as the days went by. Food was brought in from the village to add to the rice rations – now increased from 600g to 900g a day. Suddenly there was so much food they hardly knew what to do with it. Joe’s legs ached constantly but he refused to consider the possibility of beri-beri. He had to return home fit and strong! 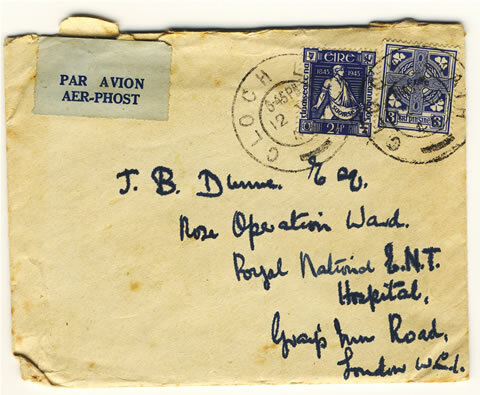 On August 26th, just as Joe began to write a letter to Eilish, the sound of planes was heard over the Camp. He rushed outside. Five American planes appeared in the sky, one Scout and four Dive Bombers. They circled the Camp three times, coming lower with each pass until it seemed they would touch the rooftops where the cheering, shouting men waved and waved in a state of frenzied jubilation. The Scout went off and with a roar the Dive Bombers made one last swoop, dropping 12 kitbags from their bellies. Tears of joy sprang to Joe’s eyes and streamed down his face at this first sight of friends in nearly four years. He felt free at last. Within days more planes dropped supplies. They flew so low the words”P.W. Supplies” painted on the underside of the wings were clearly legible. The men scrambled to safety as big metal drums and canvass bags crashed down into the Camp. One container broke through the roof the gardening shed, startling the men sorting the day’s vegetable harvest. A note in one container read: “We are taking over the feeding and clothing of you”. The feasting was tremendous as the starving men gorged themselves on the gift from the skies and Joe had difficulty managing all the food! Another note announced “We will be taking you home soon.” Joe was packed and ready to go at a moments notice but August gave way to September and still they waited for rescue. It was strange and wonderful to be able to openly, and without threat of death, listen to the radio after so many years. The men avidly followed the bulletins, their hearts soaring with each new development. Word of the imminent landing of Allied forces at Hakodate thrilled the waiting hundreds and the sight of the Camp Guards and officer handing over their weapons made Liberation suddenly seem very real. At long last the great day arrived. On September 12th 1945 my grandfather emerged from behind the 10 foot palisade for the last time. He was free, free! They marched out the gate in groups headed by the Union Jack, the Stars & Stripes, and the Dutch colours. As they passed by farms on their way to the station the locals waved and bowed in farewell. 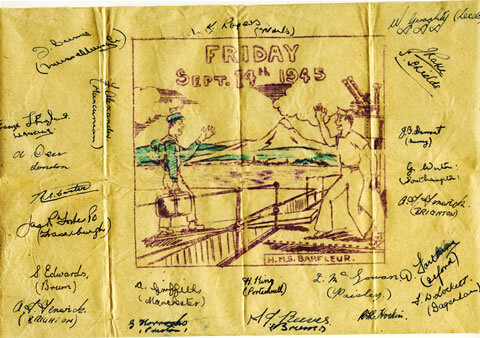 An overnight journey brought the men to Chitose Airfield. 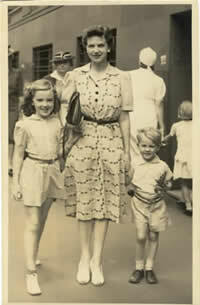 After medical exams, filling out of forms and a good meal they waited for the planes that were to take them to freedom. Bad weather nipped that in the bud and they bunked down for the night, resigned to taking the slower way home. 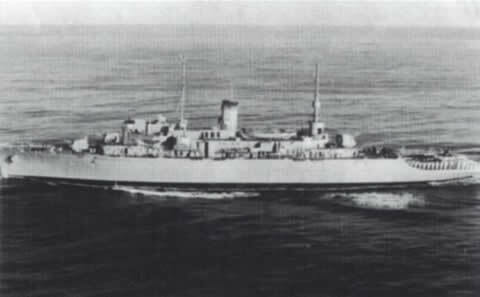 The following morning they went by train to Hakodate, and from there boarded the British destroyer ‘HMS Barfleur’. A hearty welcome followed by a hearty meal was balm for the soul. 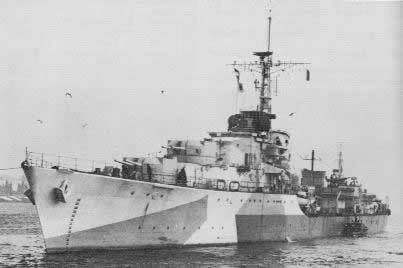 They sailed in convoy to Yokohama, arriving three days later to the impressive sight of the bay crammed with war craft of every size and shape. A rousing cheer from the ‘HMS George V’ was the first of many as they moved through the waters. On shore more forms were filled out and cablegrams were sent off to next of kin. The ‘USS Monitor’ was the second of three ships that carried my grandfather closer to his dear ones. They landed at Manila on the morning of the 26th, and from there a lorry transported the new arrivals to a tented camp 20 miles away. The bomb wrecked buildings, burnt out houses riddled with machine gun fire and the devastation of the landscape were silent reminders of the previous year’s battle for freedom. The men were housed ten to a tent with camp beds, mattresses and linen. A Canteen and Recreation Centre run by the Australians had coffee and lemonade with biscuits and donuts on offer all day long – it seemed sheer heaven! A daily issue of two packets of cigarettes, four cigars, tobacco, chewing gum and 3 cans of beer was utter luxury. 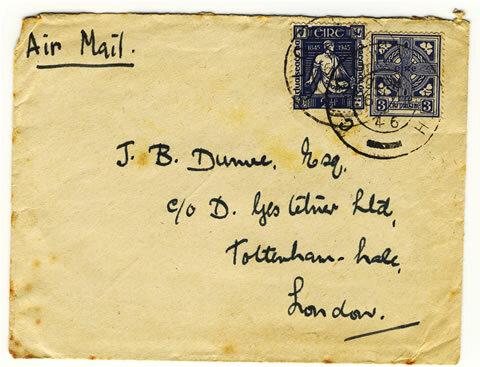 Joe wrote lengthy letters to Eilish, free at last from the restrictions of 50 or 100 words per message. His heart was full of anticipation. Soon they would be reunited, soon! But first he must pass yet another medical exam. The beri-beri, ignored and denied, could delay his reunion with the family. Joe was lucky. 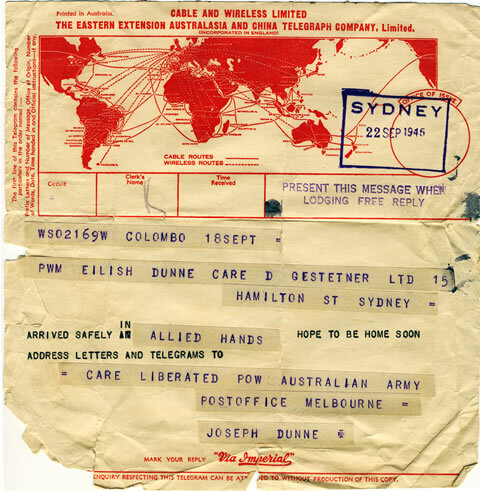 He was deemed strong enough to make the final leg of the journey home and after a series of inoculations and the issue of more kit was given the good news that he was on the list of a ship sailing for Sydney. 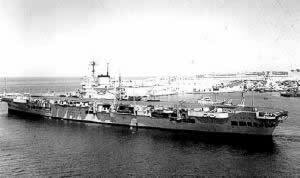 On October 2nd Joe boarded “HMS Formidable”. She sailed from Manila with her cargo of emaciated men and eleven days later drew in to Sydney Harbour. It was impossible to foresee what the future held but that didn’t matter. All Joe knew was that his family, his lifeline, was waiting for him and that he had fulfilled his promise – he had survived his ordeal to return to those he held dearest in all the world.